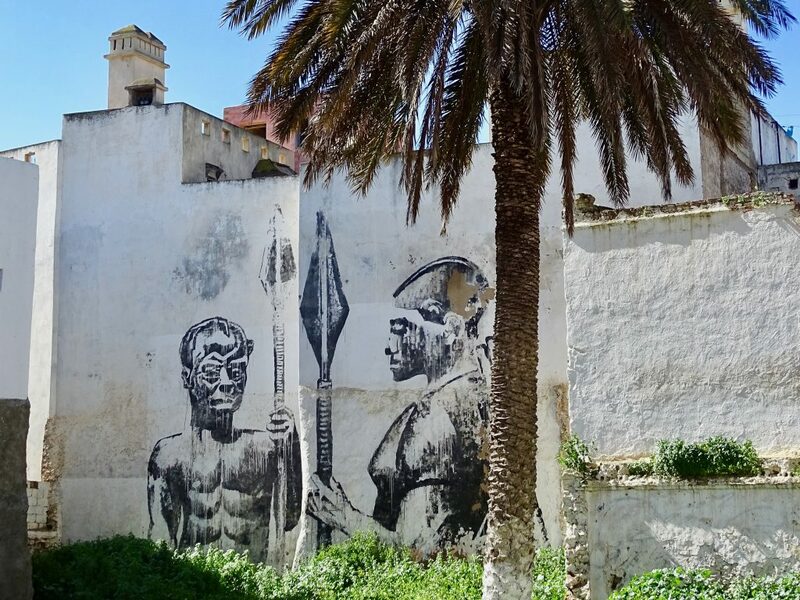 In this post: Azemmour in Morocco (sometimes misspelled as Azemour) and the story of an ultimate survivalist; how a street art festival caused an extraordinary historical discovery; a brief history of Azemmour; where and how Magellan lost his horse. The trip to Azemmour was a part of our 3-day off-the-beaten-path adventure. 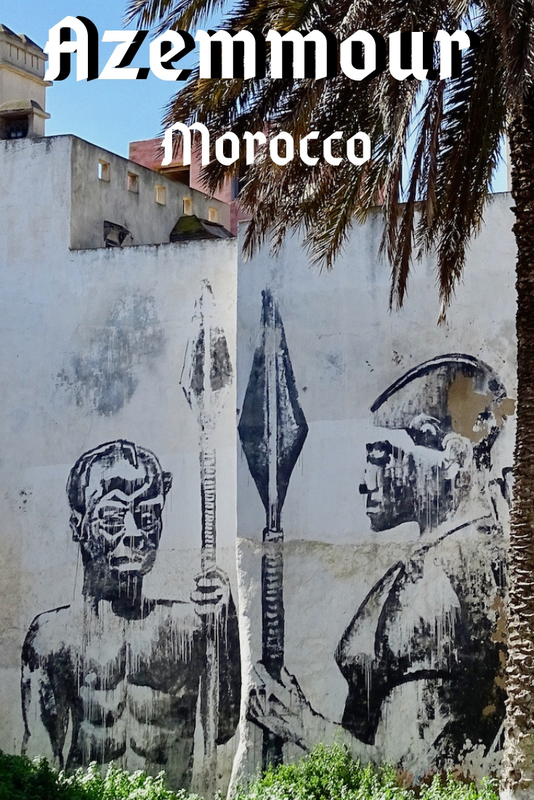 Check Morocco In 3 Days: Thinking Outside The Box for the entire itinerary. Azemmour of Morocco. 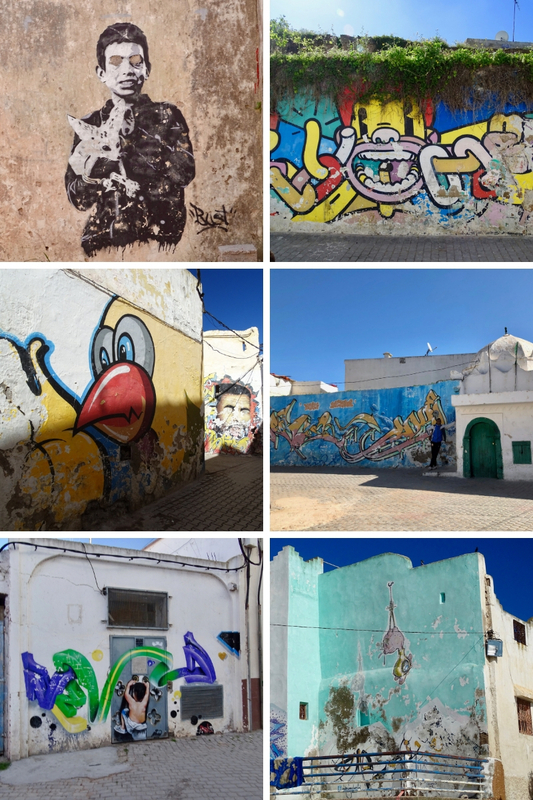 Chances are you never heard about it unless you are a street art aficionado. 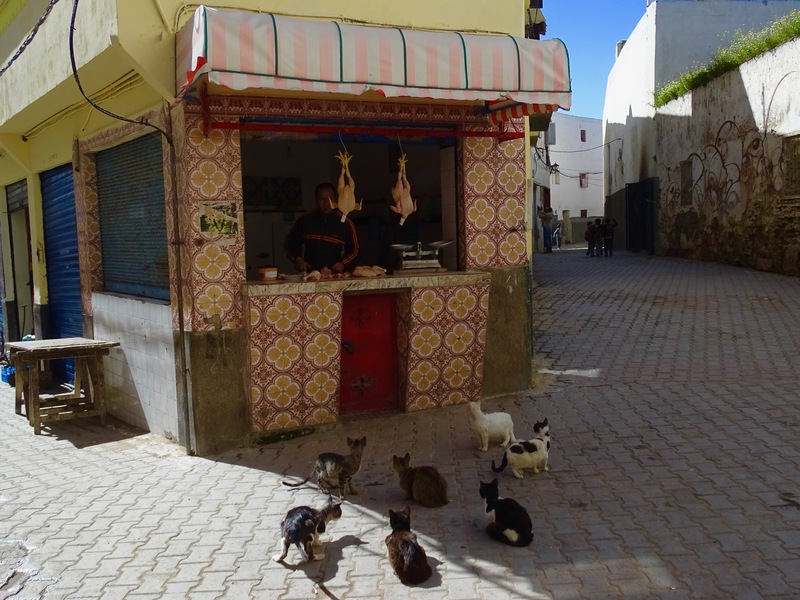 In fact, it was the reason why it popped up on my screen while I was searching for off-the-beaten-path Moroccan destinations. 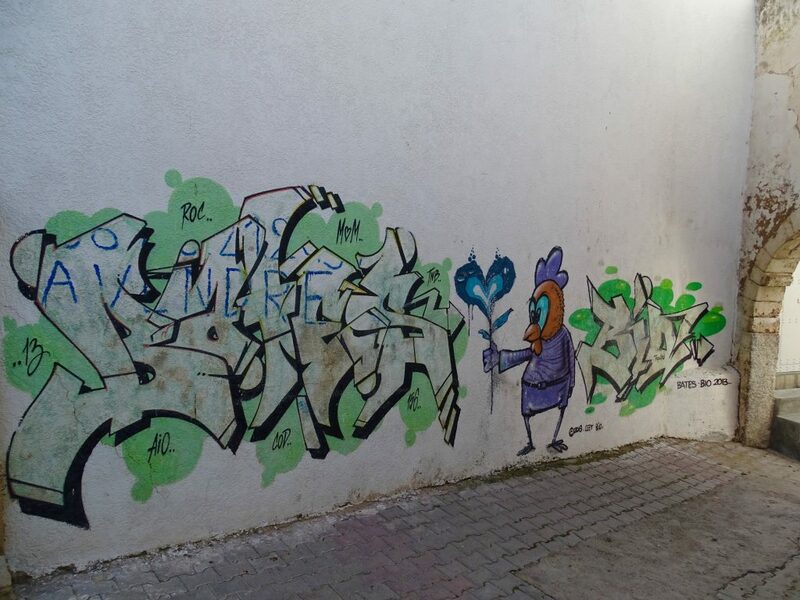 In 2013, Azemmour hosted the Remp’Arts Festival. 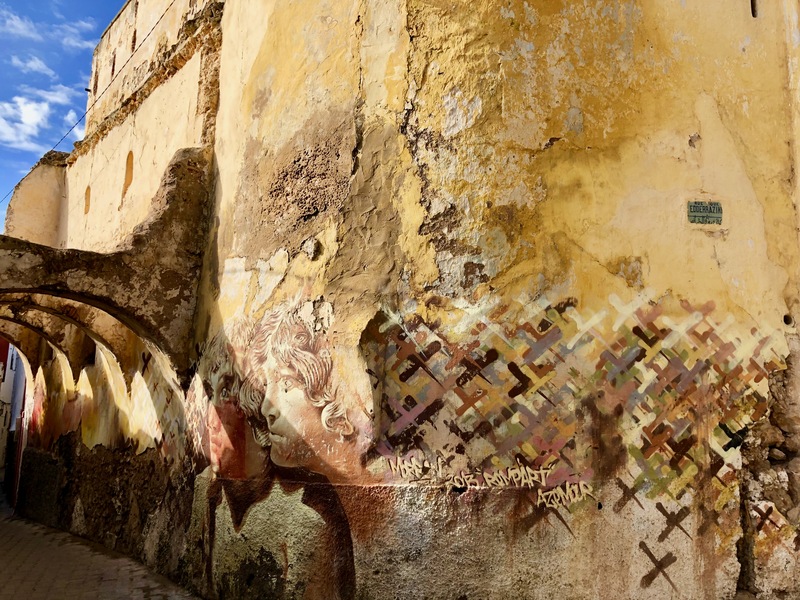 Many street artists from all over the world came to the city to use old medina’s walls as a canvas to showcase their skills. The festival managed to attract quite a few big names: TATS CRU, Kouka, Toast, Morran, Ceet, Vitaly Rusakov, Bates, Sy, and Jo Ber. The theme of the festival was a special one for the city – the legend of Estevanico. 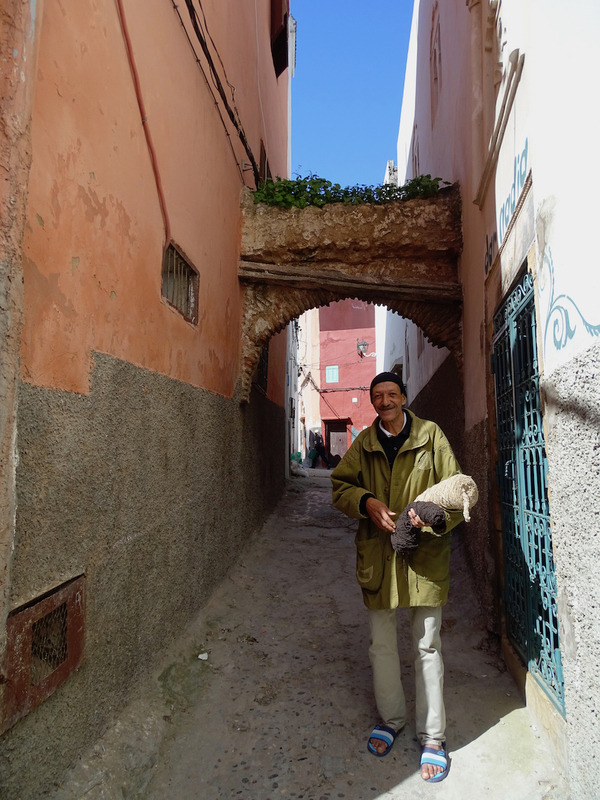 Perhaps, for esteemed residents of Moroccan Azemmour Estevanico is a familiar figure, but I never heard his name. As it turned out, he was an extraordinary character that deserves to be known better for his accomplishments. Estevanico (1500 – 1539) was the first native African who reached the present-day continental United States. He explored the entirety of the American South and was the first African-born man to die in North America about whom anything is known. There are a few different variations of Estevanico’s life story. The facts are scarce with too many years passed, but essential details are the same. 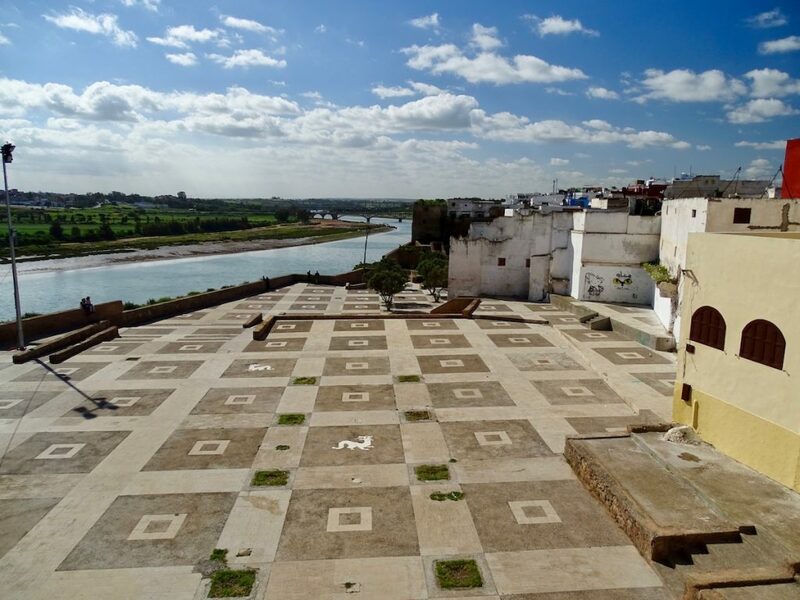 One of the greatest odysseys in American history began in a little-known Moroccan town of Azamor, as Portuguese called Azemmour, at the beginning of the sixteenth century. Estevanico was born somewhere in West Africa and sold into slavery in 1513 by the Portuguese. He became known by many different names but is commonly referred to as Esteban de Dorantes, Estebanico, Esteban the Moor, or Mustafa Azemmouri. According to all accounts, he was a remarkable man. He knew at least 5 languages, was the ultimate survivor (one of the four out of 600 to survive while en-route to America). He was a powerful healer and a medicine man. In 1520 Estervanico was sold to Andrés Dorantes de Carranza, a Spanish captain. Soon, he followed his owner to the New World. Along the way, Estevanico and three Spanish conquistadors survived shipwreck, famine, disease, and Native American hostility to make the first crossing of North America in recorded history. It began in Florida and wound through what is now Alabama, Mississippi, Louisiana, Texas, New Mexico, and Arizona, as far as the Gulf of California. Eventually, Estervanico emerged as the leader guiding survivors on an extraordinary eight-year journey. Upon their return to Mexico City, the capital of New Spain established following the Spanish conquest of the Aztec Empire in 1521, while the other three men returned to Spain, Estevanico was sold to Antonio de Mendoza, the Viceroy of New Spain. He employed Estevanico as a guide in expeditions to the North. As Estevanico pushed deeper and deeper into the unknown, he was killed under mysterious circumstances. How exactly it happened is not known. Crossing the Continent 1527-1540: The Story of the First African-American Explorer of the American South by Robert Goodwin – the true story of America’s first great explorer and adventurer—an African slave named Esteban Dorantes. Every once in a while, somebody asks me a question about my most memorable travel discovery. That must be the one! 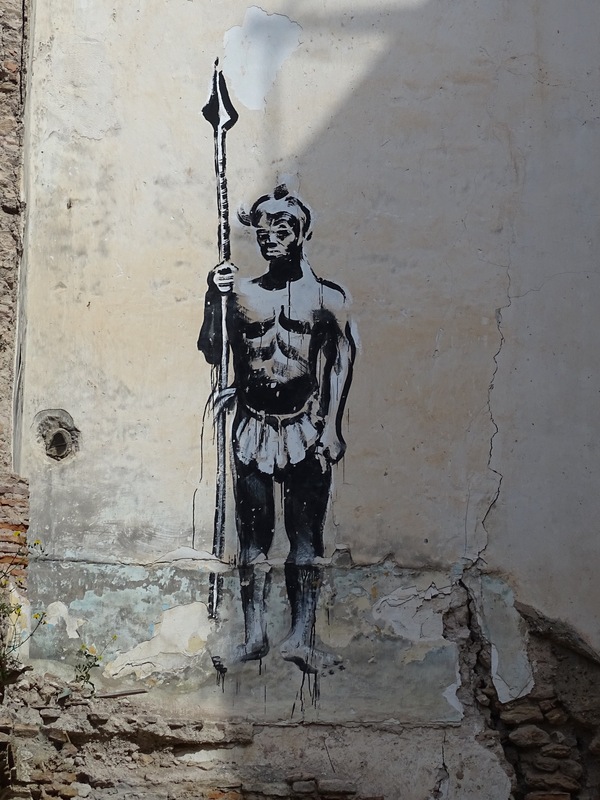 A street art piece leading to an astonishing historical revelation: nearly three centuries before Lewis and Clark’s expedition to the Pacific coast, an African slave Estevanico, the great explorer and adventurer, was the first to cross America. 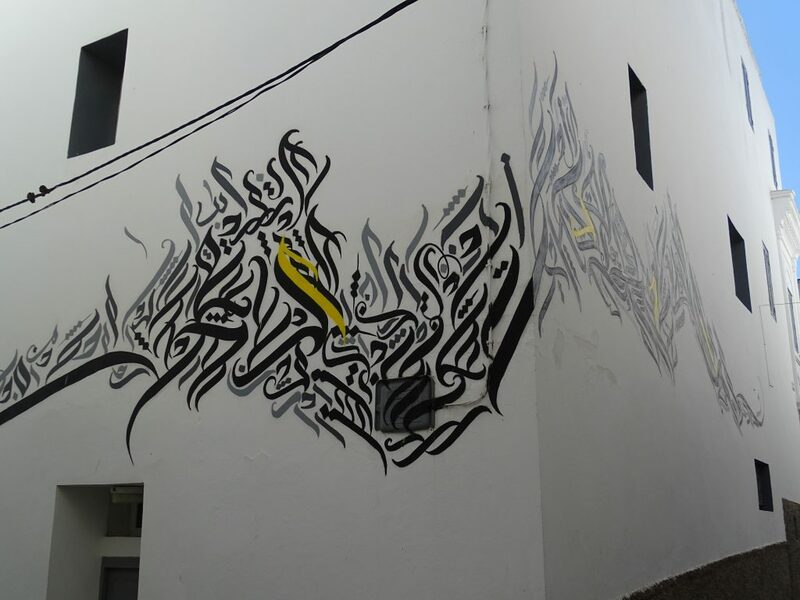 Check Casablanca Street Art to see another mural created by Morran Ben Lahcen and other remarkable street art pieces. 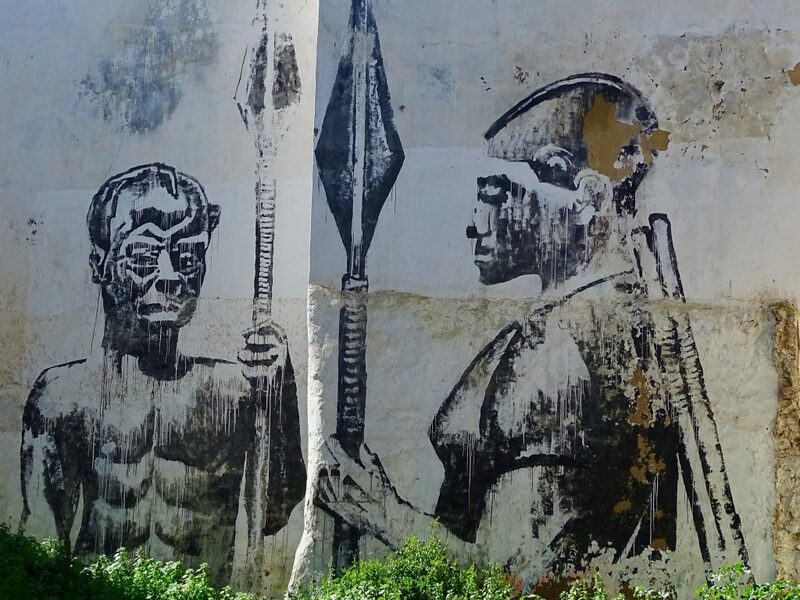 Unfortunately, more than five years of exposure to elements took its toll on murals. They look worn out almost beyond recognition. Sadly, the festival was a just one-off affair. By now, the colorful tribute to a remarkable man almost faded into oblivion. 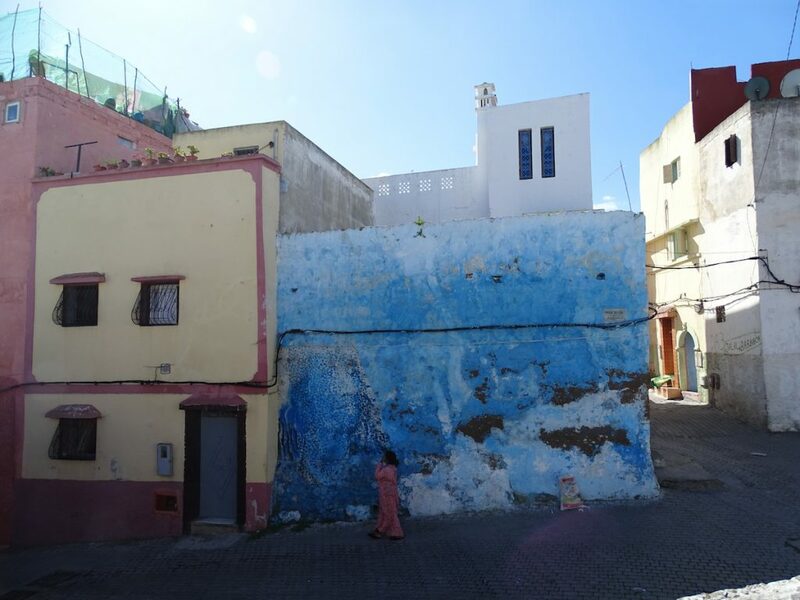 We found only one mural in Azemmour’s medina that looked like it was painted yesterday. Sadly, I do not know its author’s name. 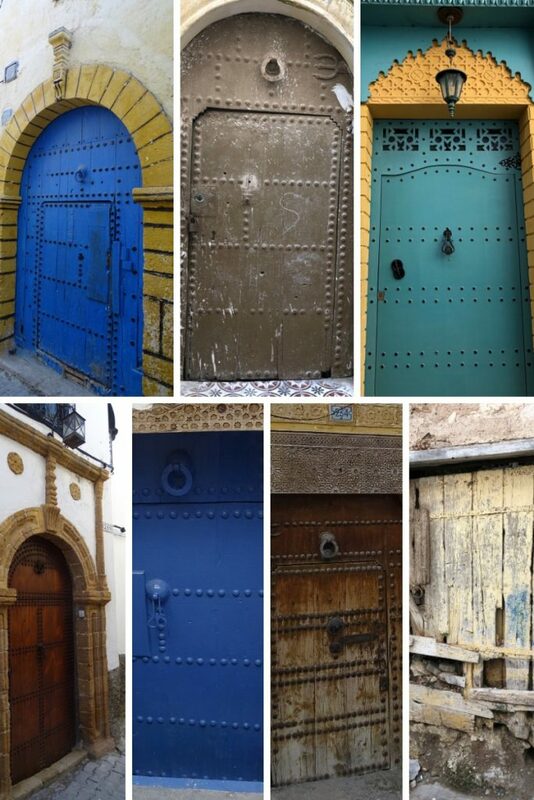 Aside from street art, Azemmour’s old medina surprised me by being eerily quiet. Granted, it sits somewhat detached from the rest of the city, but where did all people go? There were no tourists whatsoever and just a handful of locals. Suddenly, an older wiry gentleman appeared from nowhere. He observed us for a few minutes from afar, then came closer and started talking. 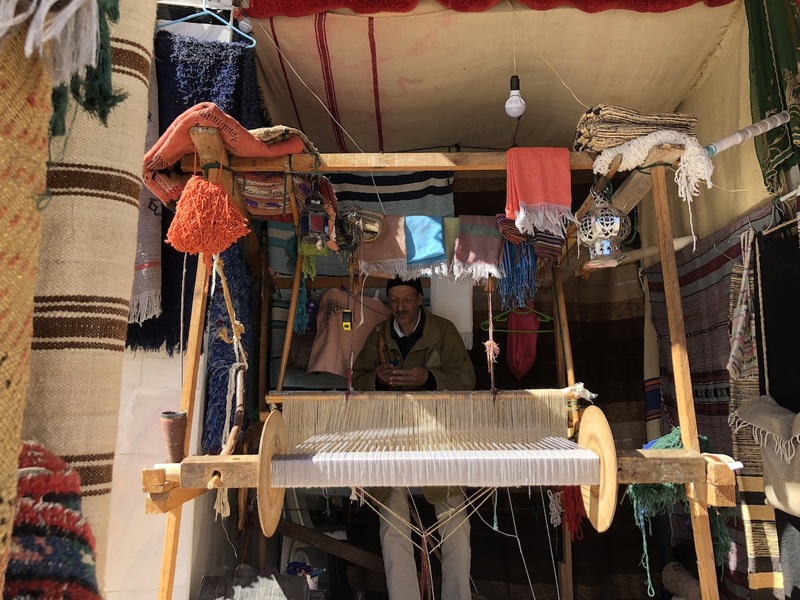 Our attempts to point out that we were not interested in an impromptu excursion were met with a charming smile and an offer to come to his shop to see how he makes silk scarfs. Suspecting that “see” actually meant “buy,” we tried to ignore him. No luck. The gentleman, who by that time introduced himself as Mohammad, was determined to show us around. For the rest of our walkabout, he reminded me of giant beetle buzzing something mostly to himself, but, nevertheless, keeping an eye on us to make sure that we were not straying out on our own. Naturally, we stumbled upon his shop suspiciously quickly. At least, it was so colorful that a resulting shot made up for the annoyance. As I suspected, a scarf found its way into my hands while hundred dirham parted ways with my wallet. 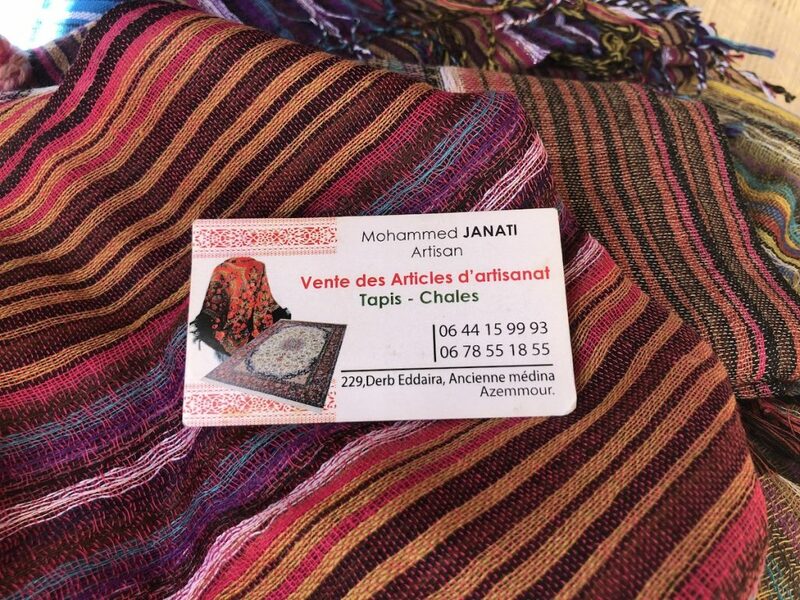 This small transaction seemingly satisfied our self-appointed guide, and we were left alone. Azemmour sits on a cliff overlooking the Oum Er-Rbia river. Whoever decided to settle at this particular location certainly appreciated beautiful views. 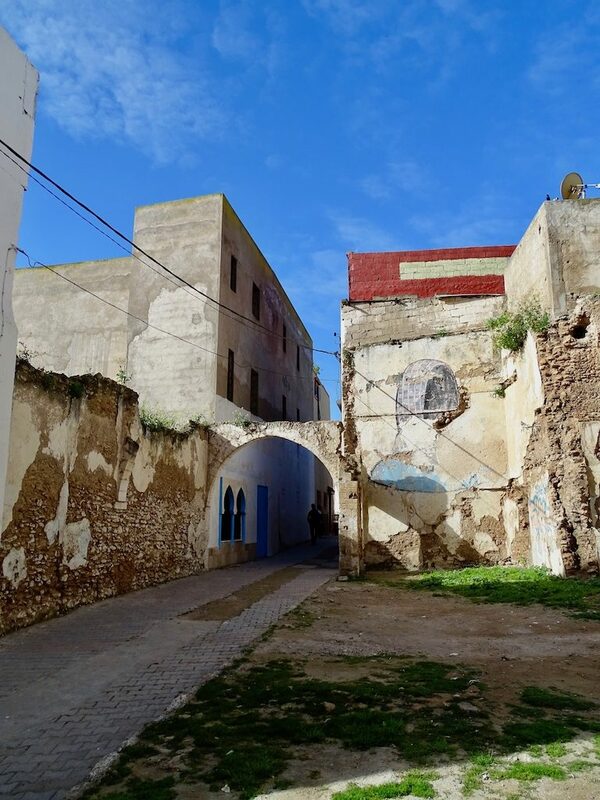 The city has a rich history bringing together different cultures: Berbers, Jews, Muslims, and Christians. Before 1486, Azemmour was part of the Kingdom of Fez. 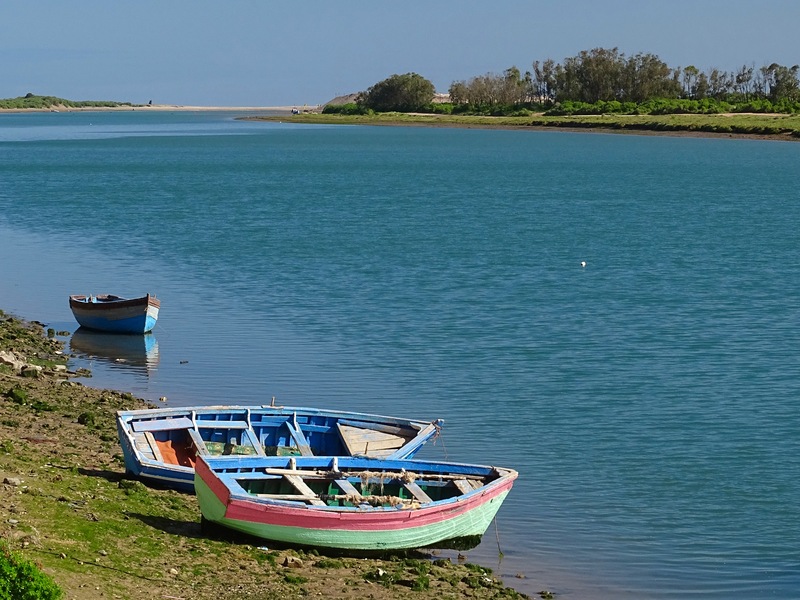 During the 15th century, Portugal was securing the Atlantic coastal sites. Thus, in 1486, Azemmour inhabitants became vassals of the Portuguese king. Just a quarter century later, in 1513, the governor refused to continue paying tribute. A Portuguese army was sent to settle a dispute, and the Battle of Azemmour resulted in the conquest of the city. Ferdinand Magellan, the famous Portuguese explorer, fought in the Battle of Azemmour. During the battle, he lost his horse and received a serious wound that would cause him to walk with a limp for the rest of his life. Portugal controlled the city for a relatively short period. In 1541 it abandoned Moroccan Azemmour due to economic difficulties. 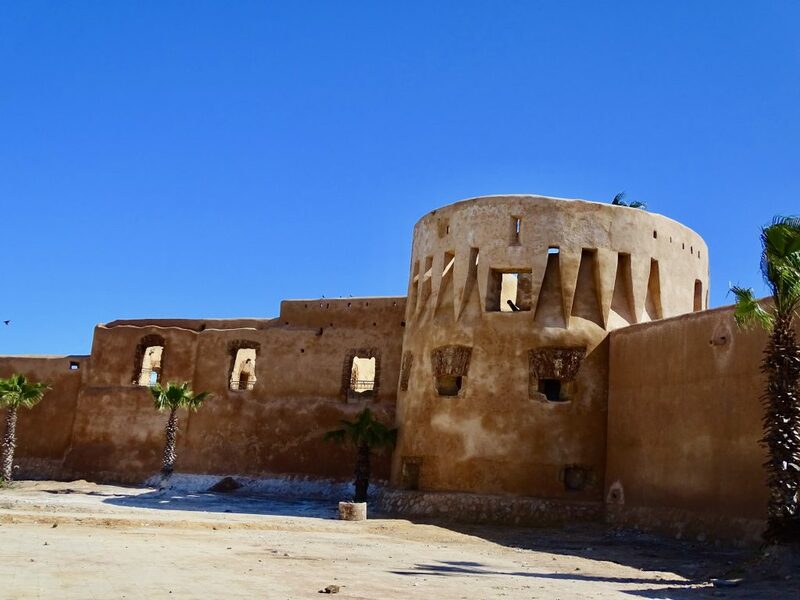 In the medina, the old Kasbah (fortress) built in the 16th century reminds about the Portuguese rule. 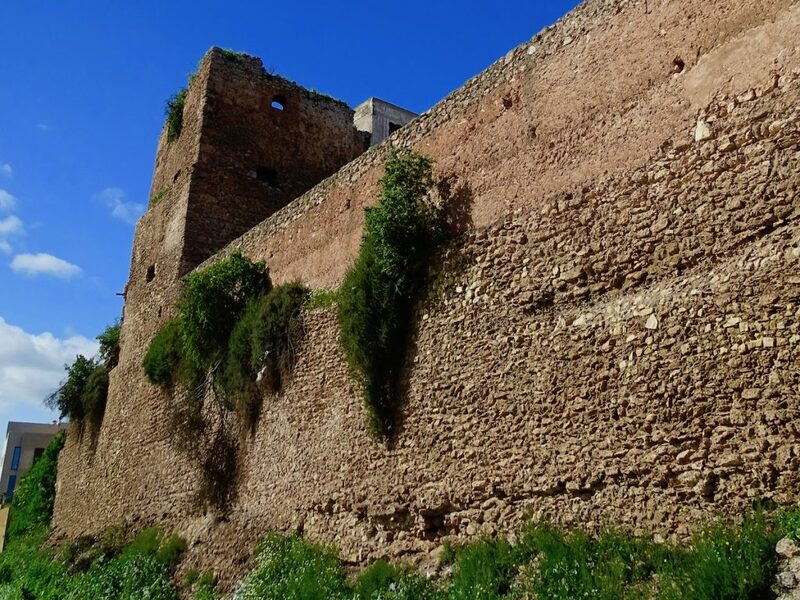 The remnants of the walls and ramparts are still standing. 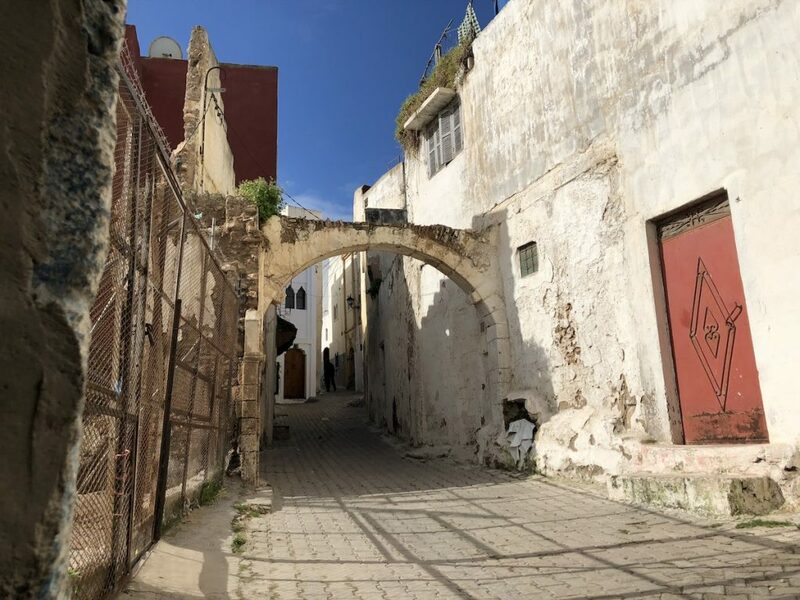 Jewish Mellah (aka the Jewish section of the medina) provides a look back into the history of Morocco. The Jews of Azemmour were mainly exiles from Portugal who fled the persecution of 1496. 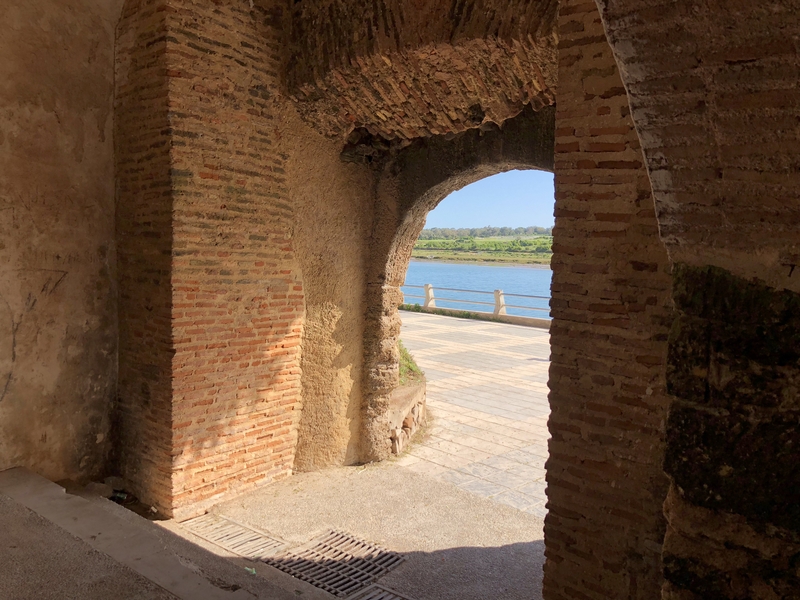 Fishermen, craftsmen and some wealthy merchants found a new home within city walls. During subsequent Spanish raid, the Jews were given protection by the Portuguese without bloodshed during 1513 occupation. In 1514, the Jews were given privileges and fixed annual tax payments. The Jewish community rapidly developed and prospered. 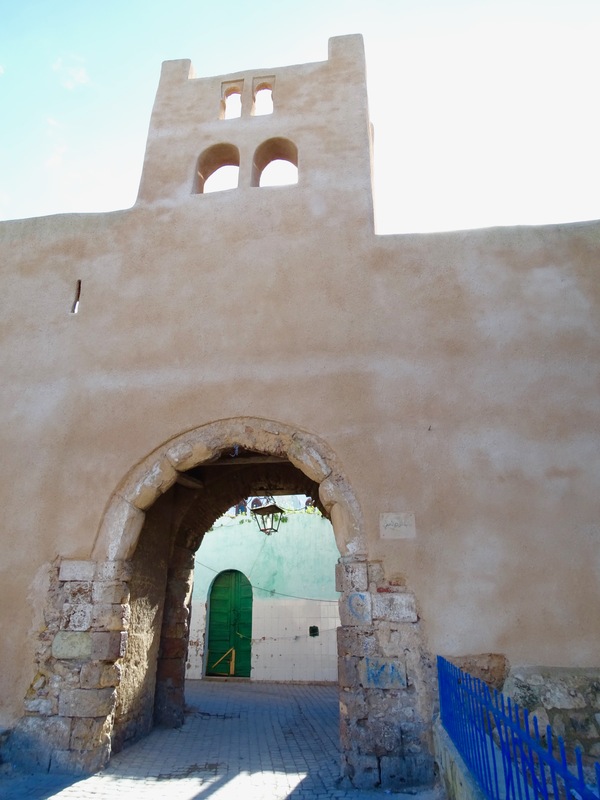 Azemmour was captured back by the Moors in 1541. During the siege, the Portugal king ordered the evacuation of all Jewish civilians and compensated them for the losses they incurred. The community was reestablished in 1780. In 1820, a majority of wealthier members relocated to Mazagan, after the sultan permitted Jews to trade there. Only the Jewish craftsmen remained in Azemmour. 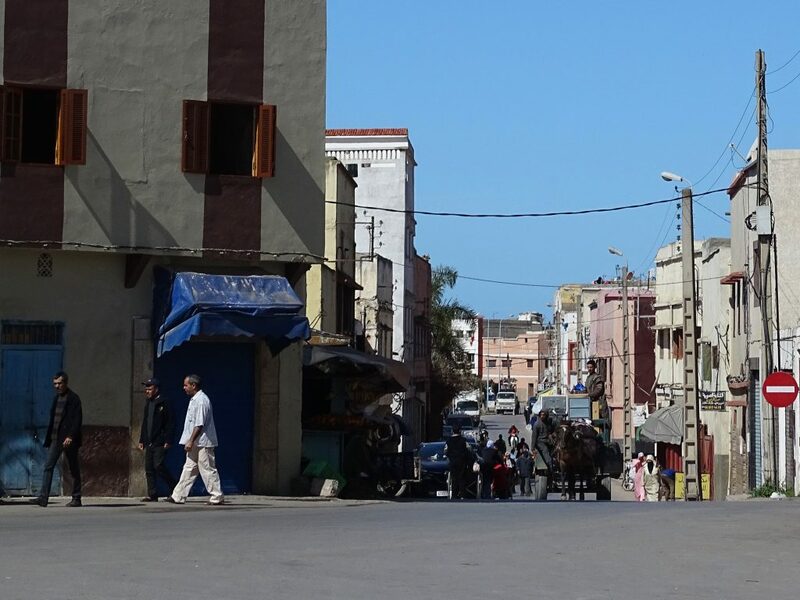 After 1948, the emigration from Morocco to Israel further diminished population. In 1968 there were no Jewish inhabitants left in the town. 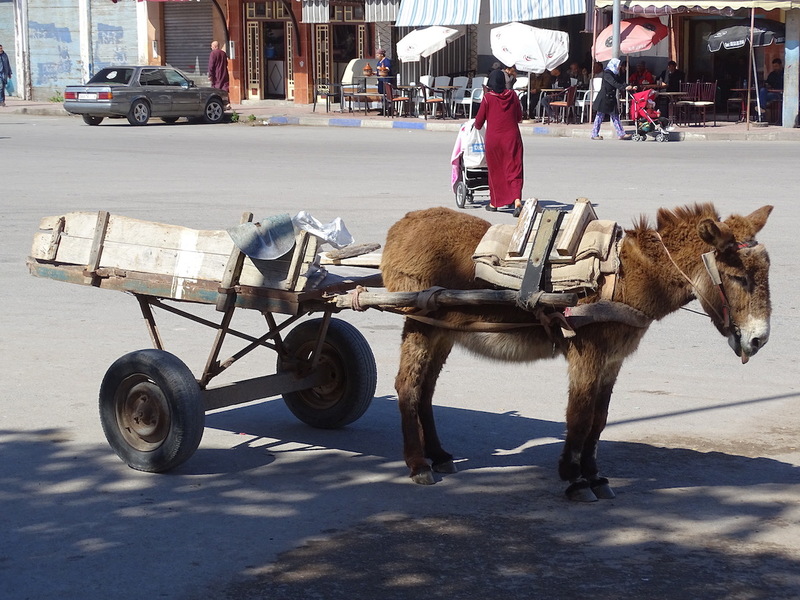 Azemmour’s medina had seen better days. There are a handful of lovingly restored buildings, and a few are for sale. As for the rest, they are either precariously sitting there waiting for some miracle or is in the process of restoration. Thank you, Ryan. 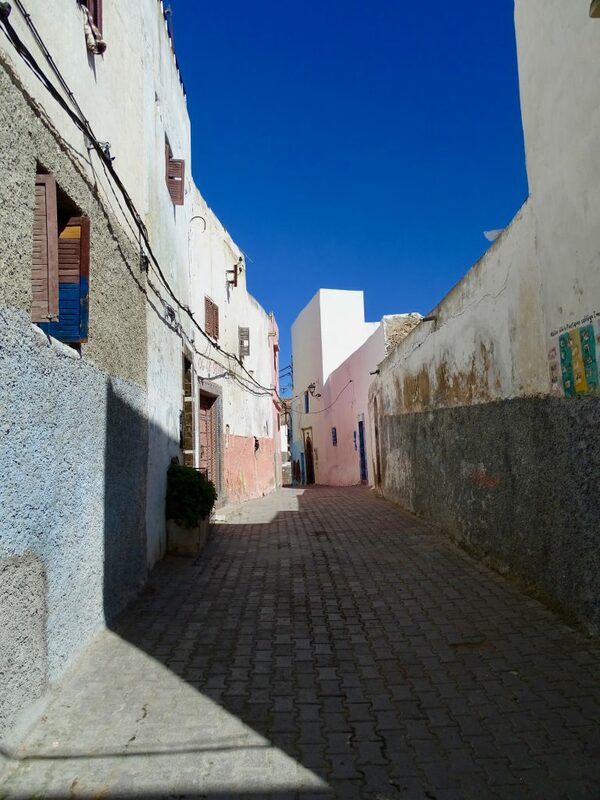 You are so right about the medina. The not so polished look adds so much to the authenticity of the place – it feels real unlike some painstakingly restored ones that might look perfect on a photo, but do not steer any emotions. Cheers!